In Creative Confidence we are encouraged to look at creativity as a mindset and a way to find new solutions to problems. Managing depression growing older : A guide for professionals and carers offers a systematic guide to identify and combating depression in older people. The book contains many examples and case notes from chapters on growing older to aging and coping with care. The book offers guidance on support in the home or aged care facility, the importance of exercise, diet and attitude in recovery. If your like me and enjoy having an embroidery project on the go, this book is for you. Mini Cross Stitch is filled with funky and distinctive designs ranging from cupcakes with love hearts to bright and colourful daisies. The book contains 20 mini cross stitch designs which can be used for multiple occasions. The book includes stitching notes and a colour code for each work. This ritual shows a number of psychological benefits such as increased resilience, increased self-esteem, forming a healthy relationship with food and better family relationships. 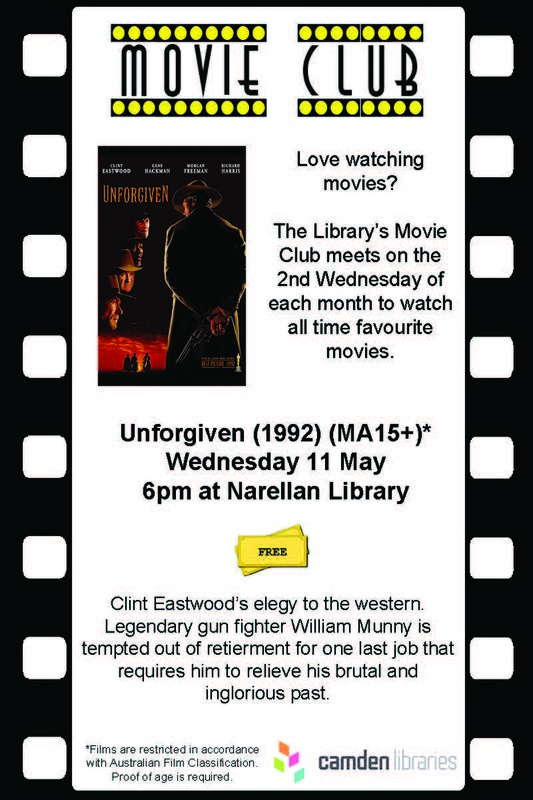 This month the Movie Club will be screening Clint Eastwood's elegy to the western, Unforgiven. Directed by Eastwood, he also stars alongside Morgan Freeman, Gene Hackman and Richard Harrison. 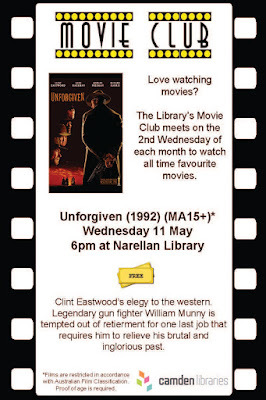 Made at a time when the popularity of the western had long since gone, Unforgiven nonetheless won Academy Awards for Best Film and Best Director for Eastwood. 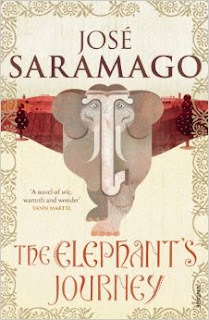 What's more, it has provided very striking commentary on the western tradition as a whole from one of its most recognisable faces. A pair of cowboys disfigure a prostitute, Delilah Fitzgerald (Anna Levine), in Big Whiskey, Wyoming. The local sheriff, Little Bill Daggett (Hackman), is a former gunfighter and extracts harsh punishment on any transgressions in his town. But with the cowboys his concern is not for the disfigured prostitute, but for brothel owner Skinny Dubois (Anthony James) and the financial losses of having a "cut-up" prostitute. This leads the other prostitutes led by Strawberry Alice (Frances Fisher) to gather $1000 for a bounty on the two cowboys. This brings all manner of former and current gunslingers to town, including English Bob (Harris), the Schofield Kid (Jaimz Woolvett), and Ned Logan (Freeman) and William Munny (Eastwood), leading to violent confrontations with Little Bill as he tries to maintain the order of his town. The film has all the hallmarks of a classic western, from the hardened gunfighters to the striking but harsh landscape that establishes the human toil. But all of these are questioned, from the nobility of violence to the increasing commercialisation of the west where the moral absolutes and the belief in violence as a solution are made entirely ambiguous. The film will be screened on Wednesday 11 May at 6pm at Narellan Library, Corner of Queen and Elyard Street, Narellan. Tea, coffee, and biscuits provided, but BYO snacks are more than welcome. Stay after the screening to share your thoughts about the film and join in a discussion about the many intriguing commentaries the film makes. 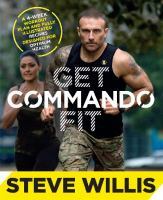 If you are looking for a no nonsense, no excuses guide to getting in shape, Get Commando Fit is for you.